There are few things that go better with comedy than a cocktail. The Comedy Bar knows this well. Luckily, many other formidable comedy venues in Chicago have also learned this is true. 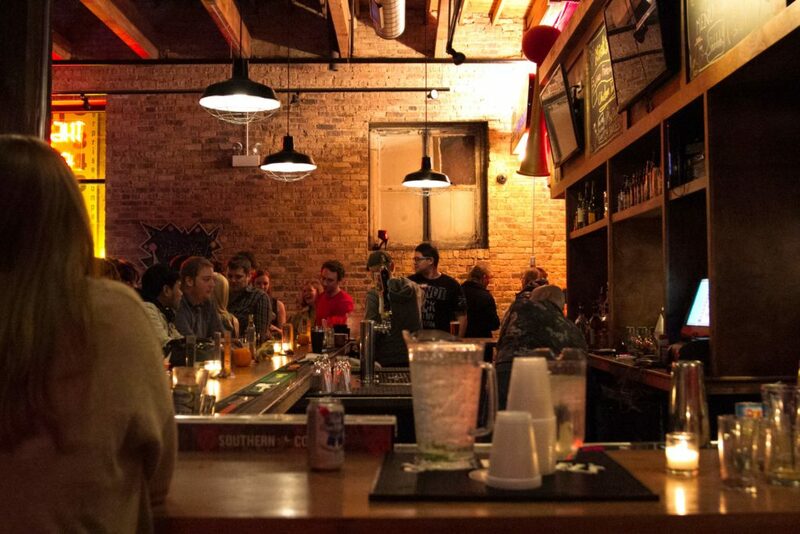 Here are 5 of our favorite bars in comedy venues (as well as one near a comedy venue and another pretty sweet alcohol-serving comedy venue). Be sure to check out TodayTix to see all the comedy shows available in your area. This historic comedy training center and theater that offers tickets to many of their shows on TodayTix also hosts a beautiful bar called 1959. You’ll get excellent service at this retro-themed space that has twinkle lights and stellar craft cocktails. If you’re hungry, 1959 also has an excellent burger, sliders, and tasty fries. Stop by before or after a show at The Second City, and you may even be able to see a cast member with whom you can spark a conversation! 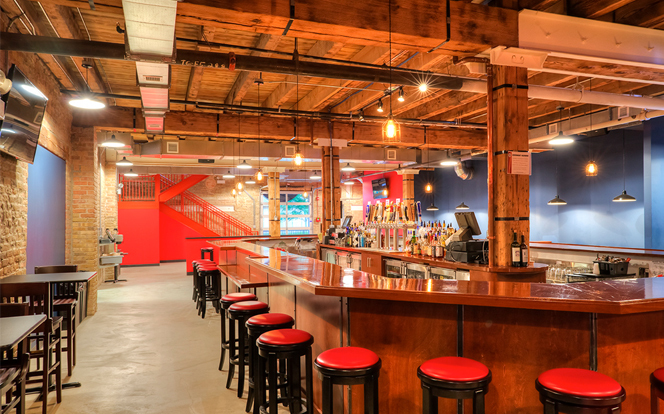 There are two large bars and a beer garden at the beloved iO Theater. If it’s warm enough, you’ll want to try the rooftop bar that offers stellar views of Chicago. 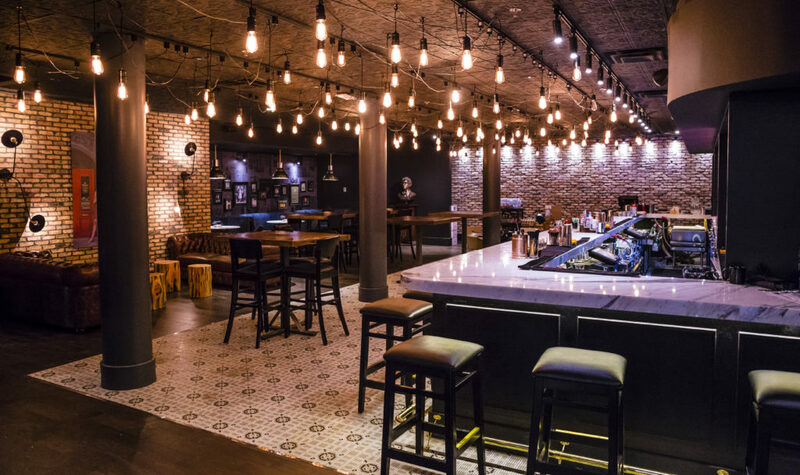 The bars at iO offer great prices and atmosphere, perfect for socializing during a night out seeing some excellent comedy. A number of iO shows are available for a discounted rate on TodayTix, including performances by the Improvised Shakespeare Company. The bar at the Annoyance Theater is spacious and welcoming, much like the actual theater! The creative work the Annoyance promotes in their “vibrant, uncensored atmosphere” is reflected in the warmth of their public spaces. Less than a minute away from the world-famous Laugh Factory is Brendan’s Pub, a typical Irish tavern with a jukebox and friendly bartenders. What set’s this neighborly establishment a part from the rest is it’s delicious menu. You won’t have to go far after a set at the Laugh Factory for a good bite and beer. 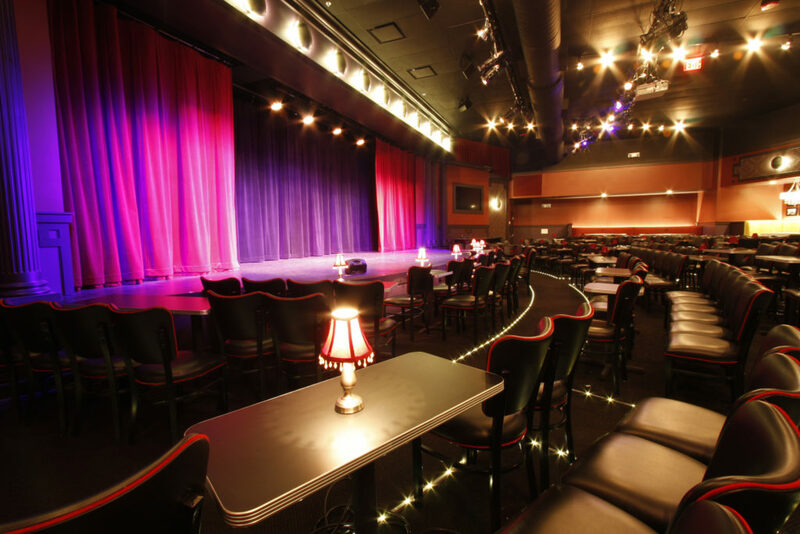 UP Comedy Club has one of the best set-ups for dining and drinking during a show. Even if there wasn’t a stage where world-class comedy was being performed, the UP theater would still be a classy joint to have a drink or a meal! The plush seats and inviting color scheme make for an overall enjoyable experience that lends itself well to both dining and watching theater. 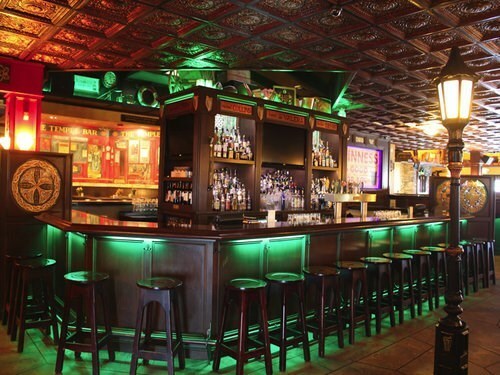 Do you have a favorite spot to grab a drink after seeing a comedy show? Let us know on Facebook or Twitter!